Welcome to Bay Street Loft 203! 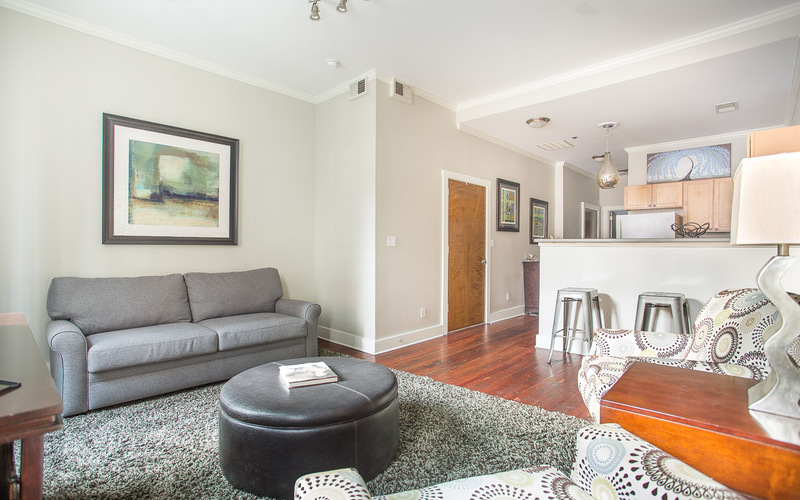 View of the entire apartment. The living room has a Queen sleeper sofa. Catch up with old friends against even older brick walls. Put your feet up - it's vacation time! The living room has a flat screen TV. 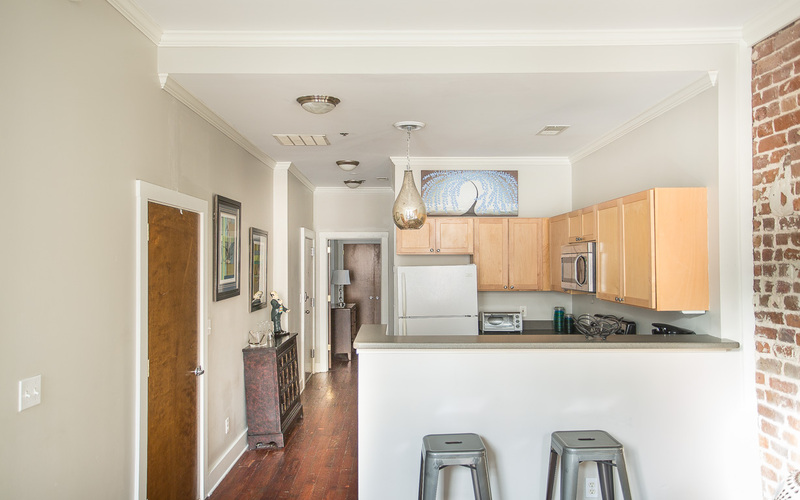 The apartment receives plenty of natural light! Have a glass of wine - or two - at the kitchen counter. 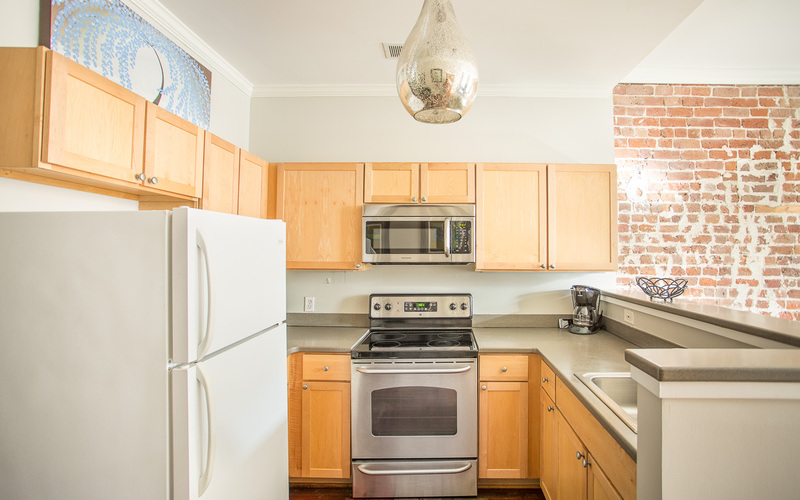 The kitchen comes fully equipped with stainless steel appliances. The kitchen is open to the living room. 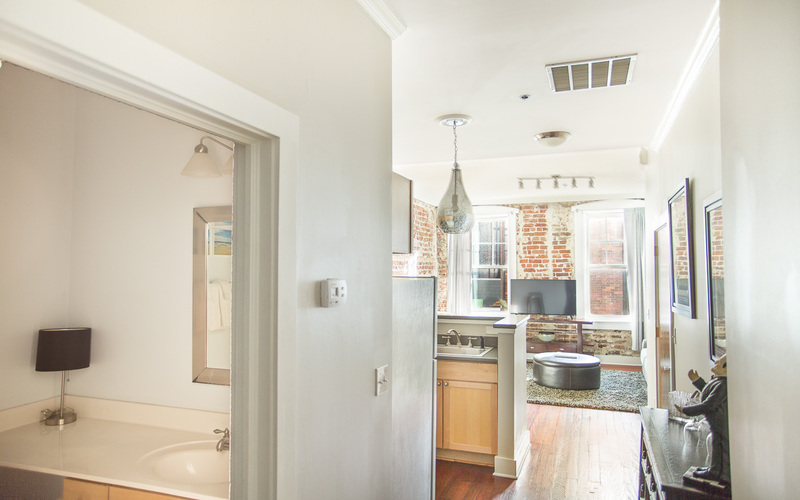 The perfect open layout for carrying conversation! The guest room has a Queen size bed. 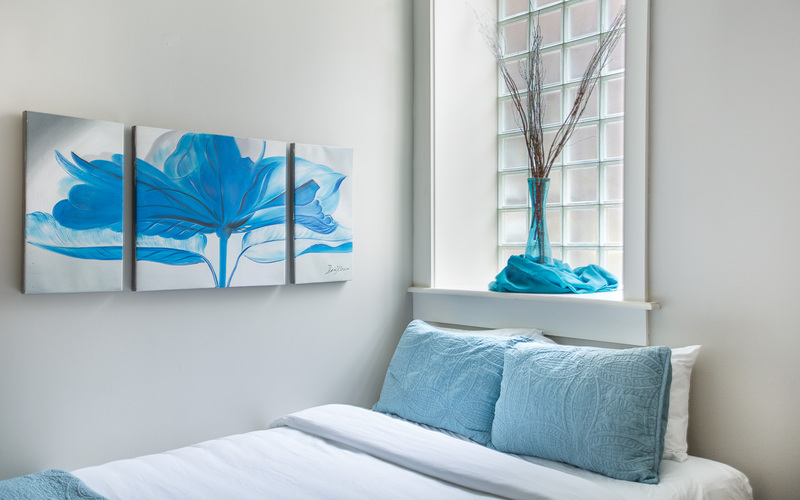 Enjoy crawling into luxury-grade linens at the end of a long day spent sightseeing. 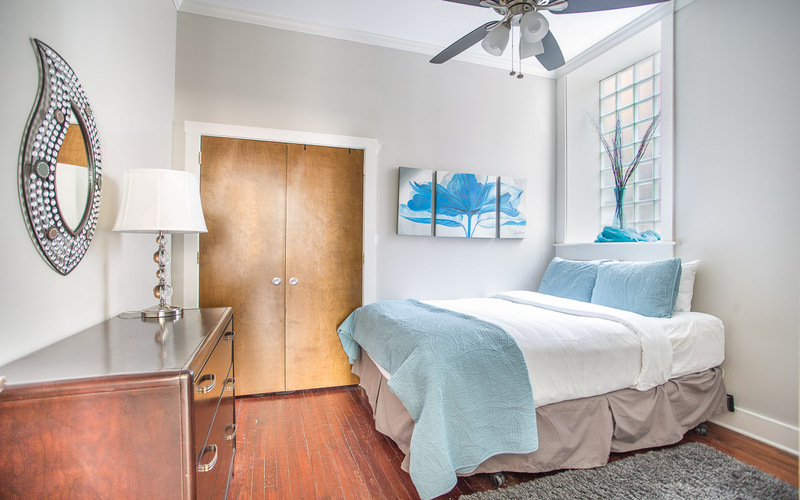 Full closet and chest of drawers allow you to unpack. 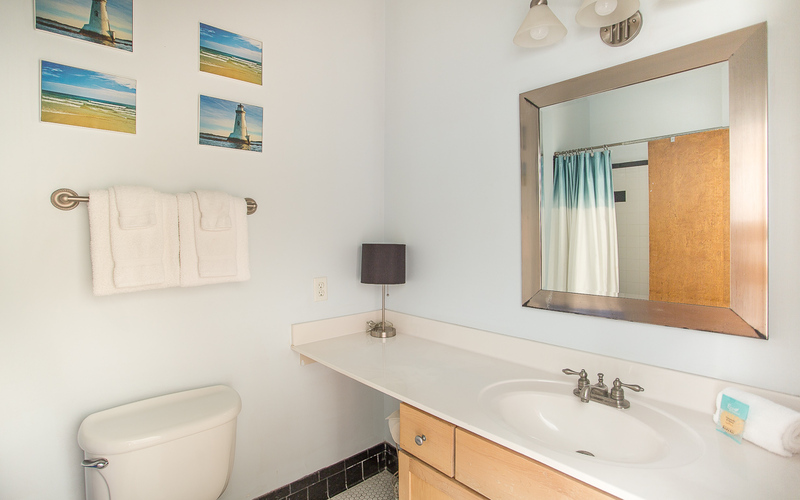 The full bath has an extended vanity - perfect for sharing. 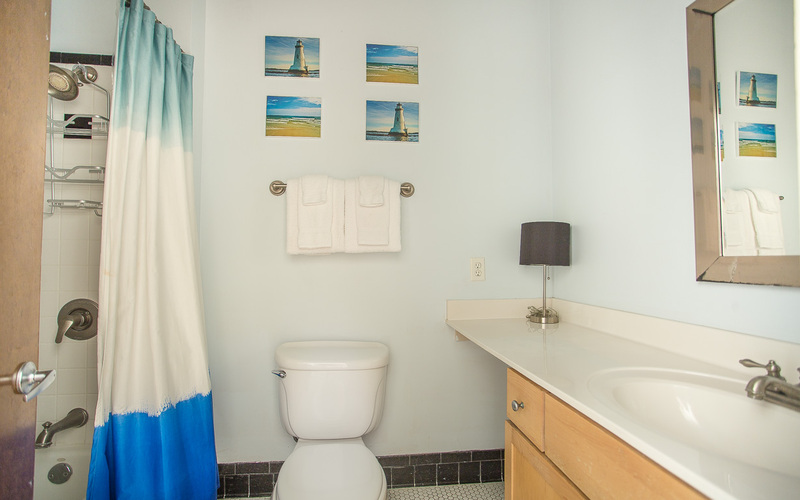 The full bath has a tub/shower combo. View of the tub/shower combo. The bath is just off of the hall. 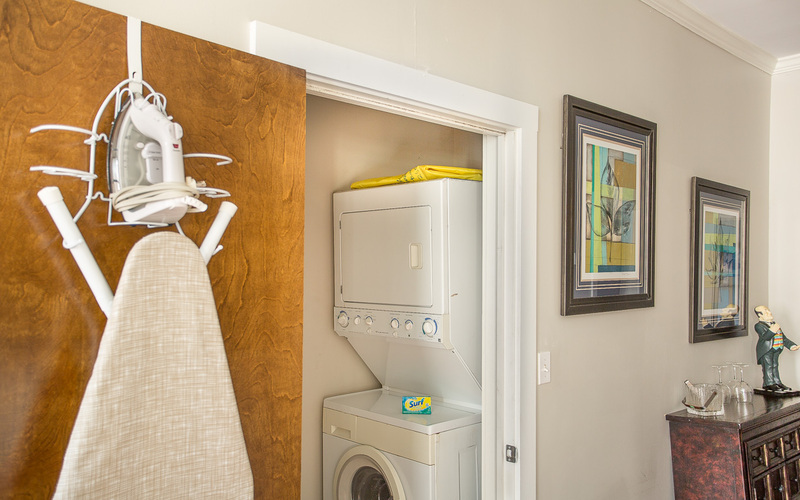 Enjoy a stacking washer/dryer, ironing board, and iron. Enjoy a secure, keyless entry. Stay right in the heart of everything! So many nearby sites to see and explore. Stay out past dusk and see the city in a new light. 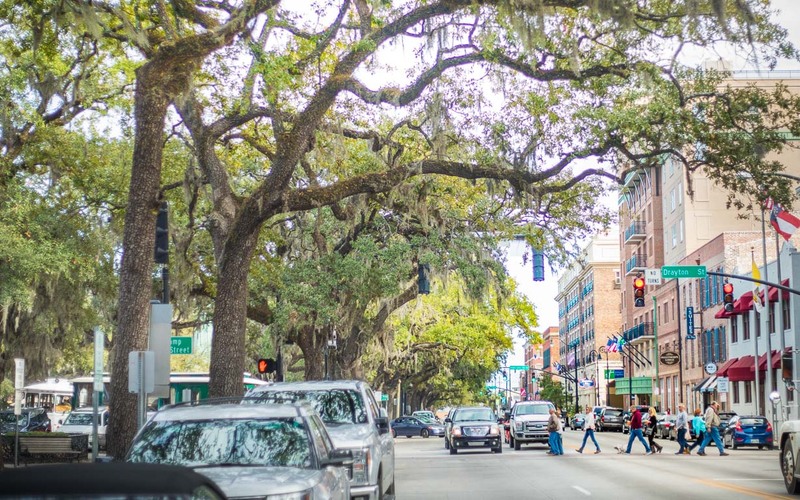 Enjoy the bustle of Savannah's Bay Street. 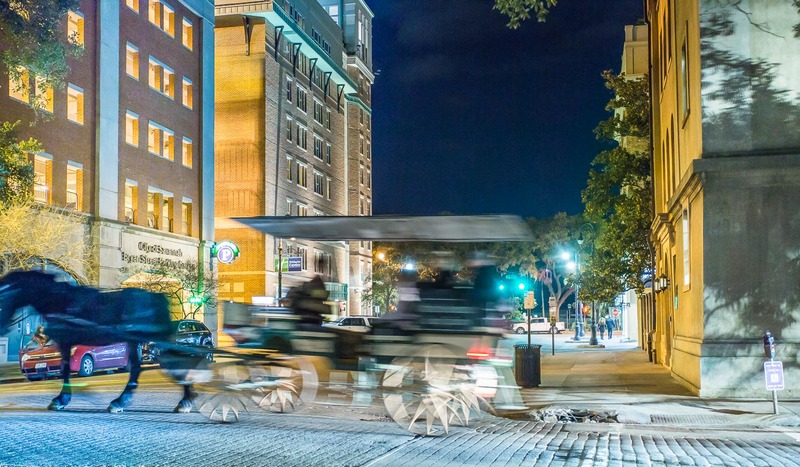 Take an evening carriage ride. 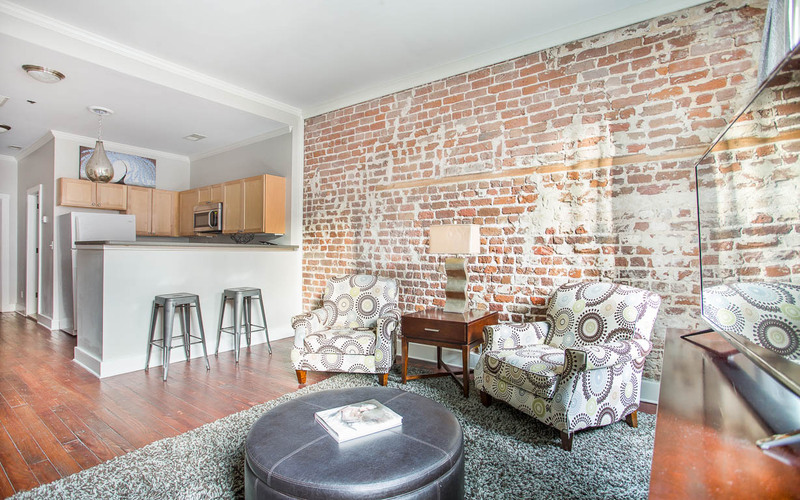 Be in the heart of the action in this downtown, one-bedroom loft. 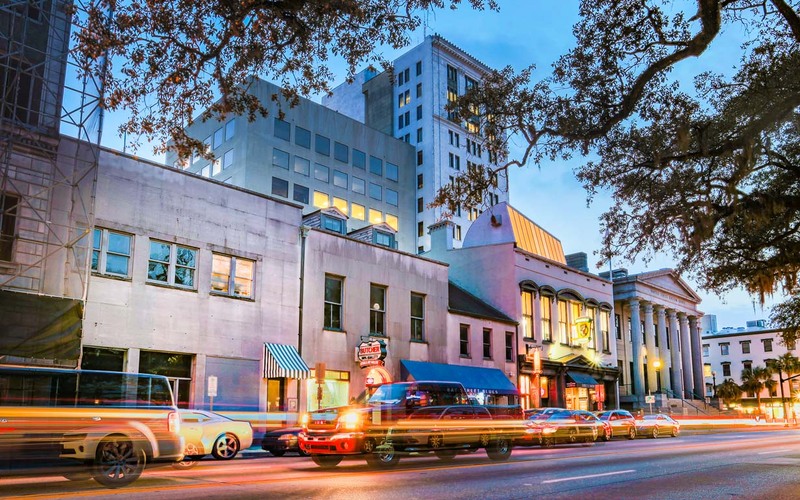 Guests are only a short walk away to River Street, City Market, and some of Savannah's best dining and shopping. 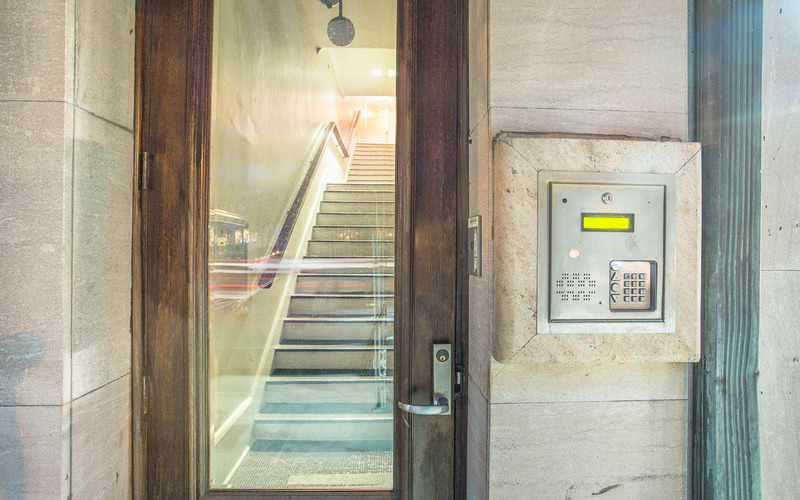 Enter into your upper level apartment off Bay Street using your keyless entry. 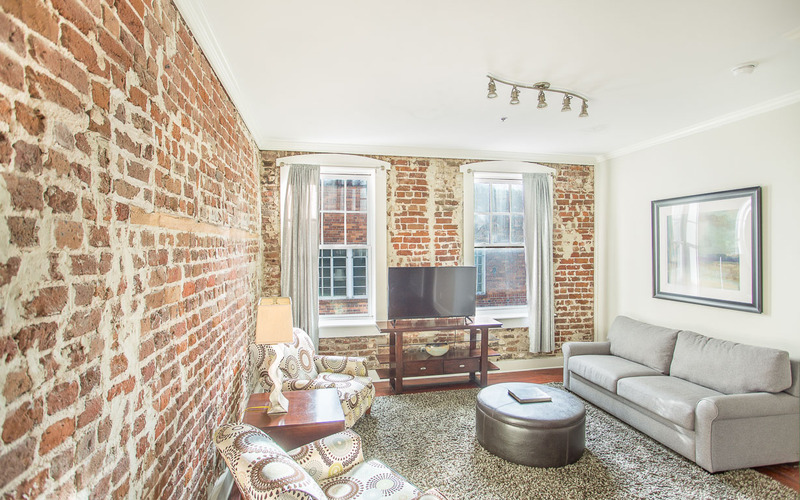 The living room boasts beautiful views of the city and includes a Queen sleeper sofa. 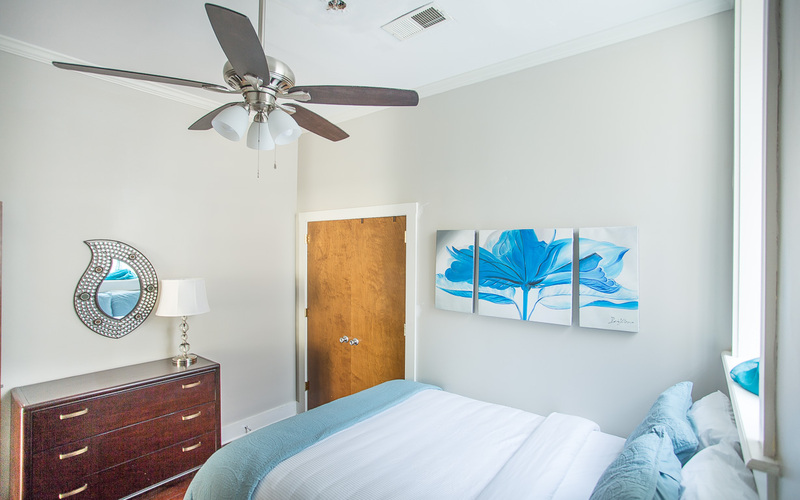 The bedroom has a Queen size bed and ample storage to truly unwind. 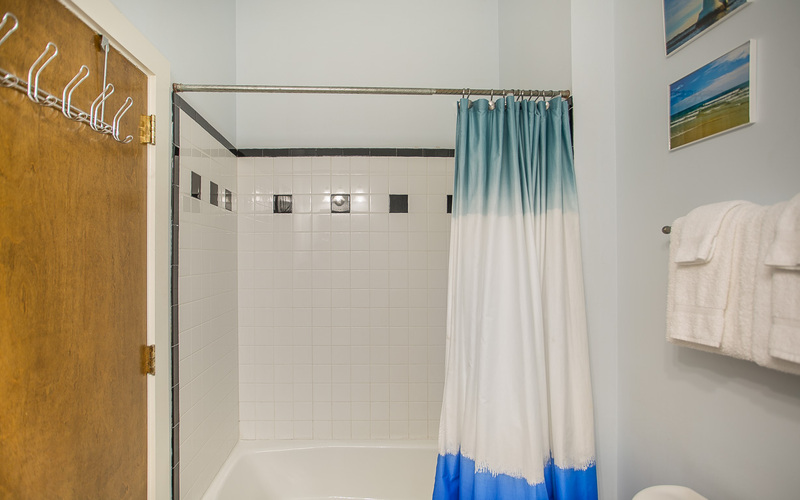 A full bath with standing shower is off the hall. 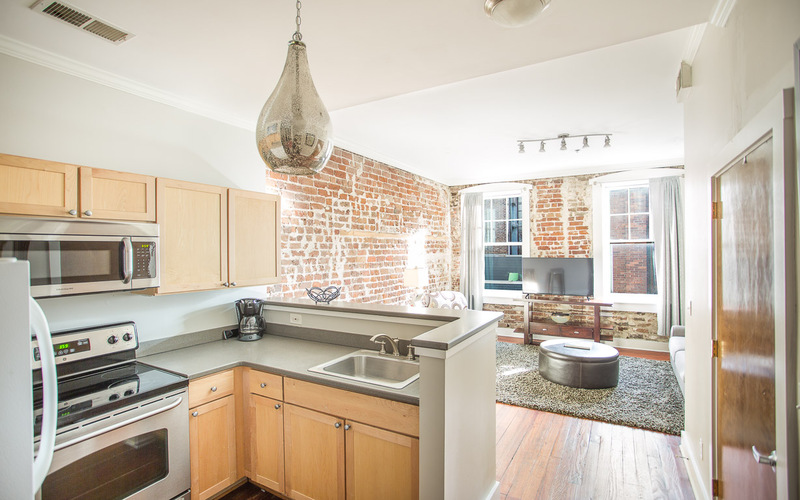 Prepare a quick breakfast and cup of joe before hitting the cobblestone streets. 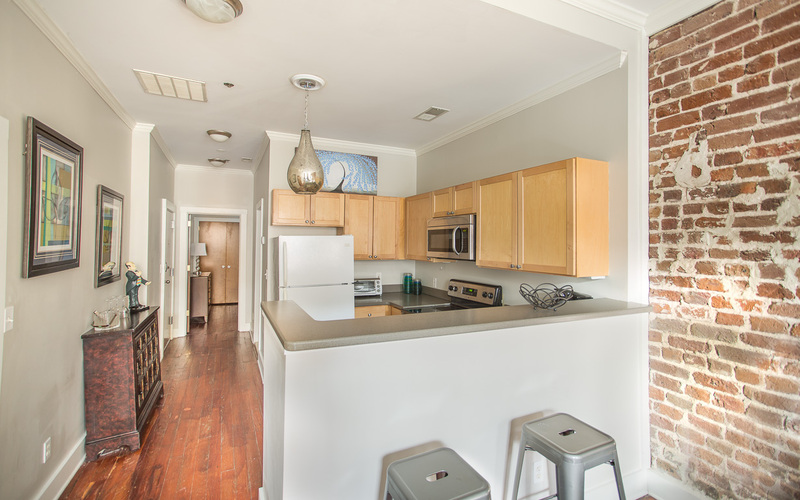 The kitchen is spacious and well-equipped with stainless steel appliances, dishware, glassware, and cutlery. Not the chef? There are a plethora of restaurants nearby including Vic's on the River, Chart House, or local favorite: Treylor Park. 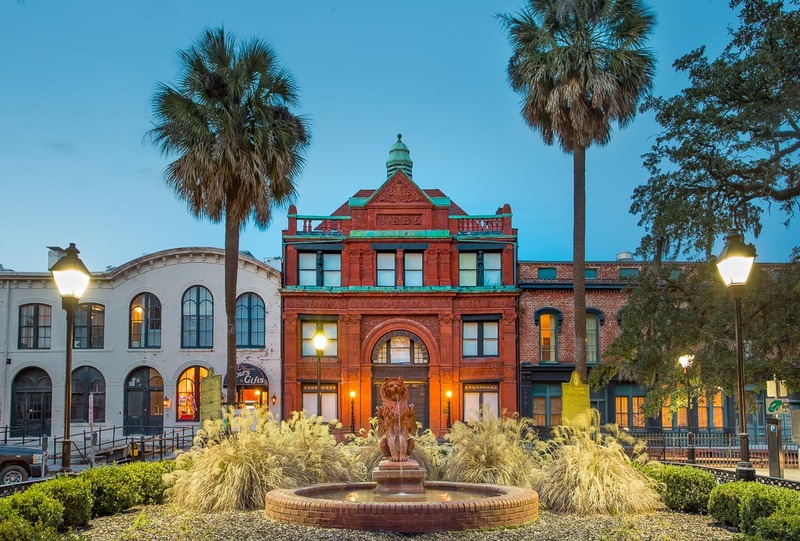 Parking for this property is on-street and metered, which is enforced by the City of Savannah from 8am to 8pm, Monday through Saturday. 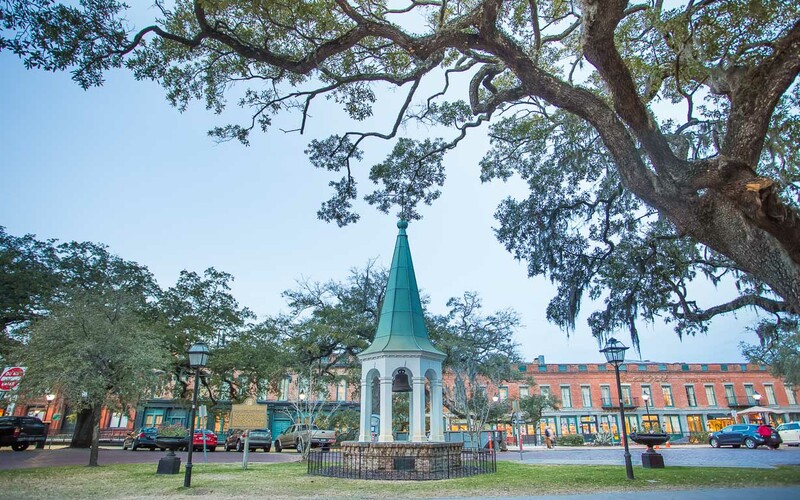 Guests are encouraged to either park in a nearby parking garage, or purchase a prepaid parking pass from the Savannah Visitor's Center - applicable to any metered spot or city-owned parking garage. Loved our stay on Bay Street! 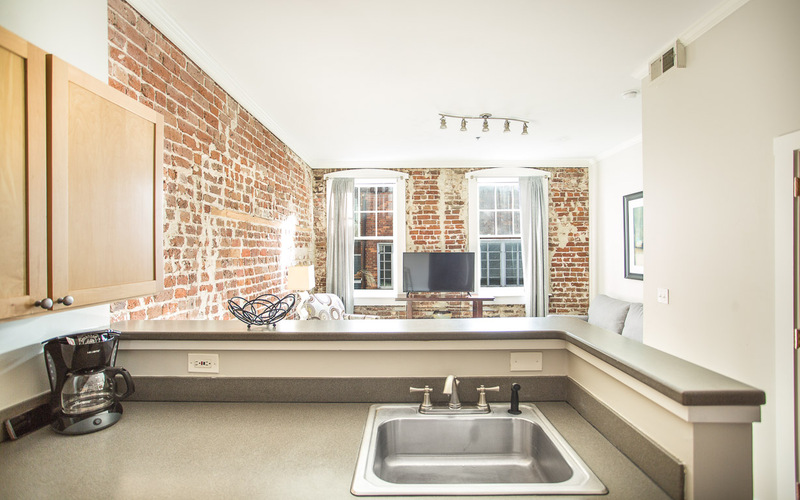 This Home Away was perfect walking location to restaurants, bars, and shopping on River Street. 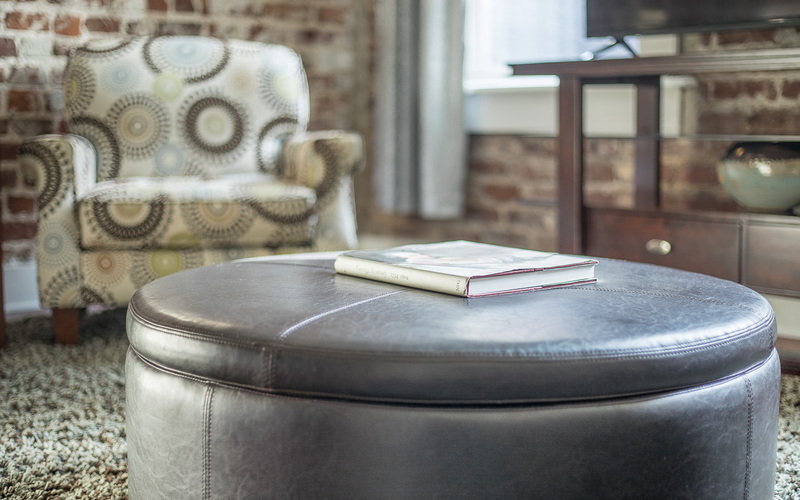 The loft was clean, spacious, and even had extra amenities like coffee, an iron, extra towels and linens. 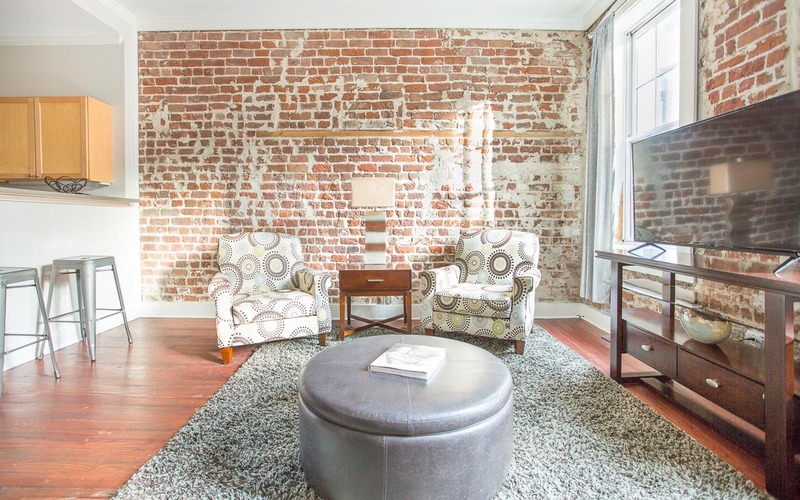 Would definitely stay here again, and would recommend to anyone looking to stay a weekend in Savannah! The rental has an amazing location, was clean and homey. Would definitely consider staying there again! We enjoyed the rental location. With only one exception. The ceiling beside the bed leaked. It was a rainy couple of days. However all in all it was a good Savannah visit. 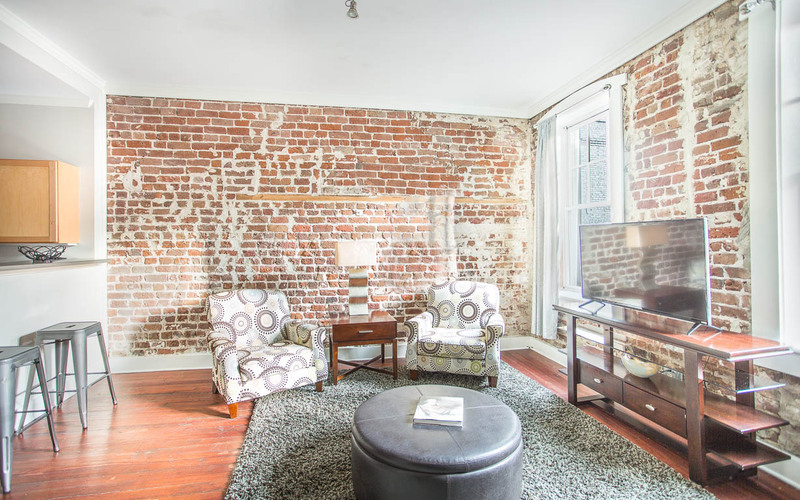 The apartment was very clean and is in the heart of Savannah. We were able to walk to almost everything we did which was great! The parking deck is just next door which was also convenient for taking our luggage in when we arrived. I liked that our door had a code to unlock it and our neighbors were very quiet. There was supposed to be a code to get into the building from the street but it was apparently broken so the door was always cracked which I thought was a a little unsafe. And we were not made aware of this when we reserved the rental. There was also construction next door so we woke up to hammering and power tools. We were typically getting up anyway to go out but it would have been nice to know before we rented it. The only other issue we had was one night it rained really hard and when we made it back to the apartment there was a leak in the bedroom. Thankfully it wasn’t over the bed and it eventually stopped once the rain stopped. However, I called the helpline and left a message to let them know but no one ever called me back. Overall we had a great stay and enjoyed being close to everything but don’t count on Lucky Savannah to get up with you if you have an issue.